GC meets with Amy Holt, senior commercial lawyer at UK retailer John Lewis, to discuss how the commercial legal team works with the business, and the company’s unique partnership structure. It’s mid-December when I pay a visit to John Lewis, and as I’m waiting in the foyer of the aptly named Partnership House, I notice that most head office staff are sporting Christmas jumpers. When senior commercial lawyer Amy Holt arrives to greet me, she too is decked out in festive knitwear – putting paid to any notions of stuffiness in the retail chain’s commercial legal team. 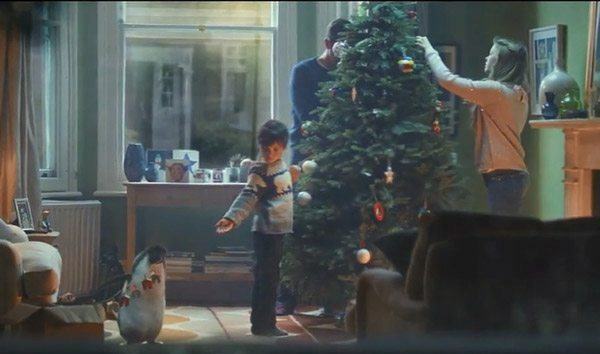 December feels like a fitting time of year to drop in on the company given its association with Christmas - thanks to its now iconic and eagerly-awaited annual television advertisements. This year’s offering (starring Monty the Penguin) strikes a typically heartfelt note, and underscores the obvious imperative for customers to buy into the “caring” brand, as well as for the internal staff. Within the commercial legal team’s broad remit, Amy has main responsibility for IP issues. “Brand protection is really, really key for the Partnership. We need to make sure that what we are doing and selling is original and non-infringing, and that our innovation is absolutely protected so that we can continue to offer something unique to our customers,” she points out. Nowadays, the education process helps non-legal colleagues understand when to raise red flags, and where to go when they do. The commercial legal team can then make sure they are on board at the beginning of a project – be that a new design relationship, product range, or branding a new area of a store – and avoid being labelled a compliance hurdle. “I’m really pleased that now so many areas of the business are approaching us at the outset of a new project – we can give an early indication of the risks, how best to mitigate those risks and secure the best position for the business. It’s much more collaborative,” she explains. This collaboration means that the team can really add value, which builds a positive perception, and inspires the business to seek out its members more and more. As we’re making our way out, Amy draws my attention to a stuffed version of Monty the Penguin in a glass cabinet outside the offices of the legal department. I joke that the partners will join forces to buy up all the copies of Tom Odell’s cover of “Real Love,” to get the ad’s soundtrack to the top of the charts. “Oh yes,” she says seriously, “we all will. We’ve got to get to Christmas number one again this year.” So is the legal team as close with the business as Monty and his human best friend? Certainly the partners, including the commercial legal team, seem to be united behind the John Lewis brand.